Monsters are great year round, but with Halloween approaching it makes me like monsters EVEN MORE. 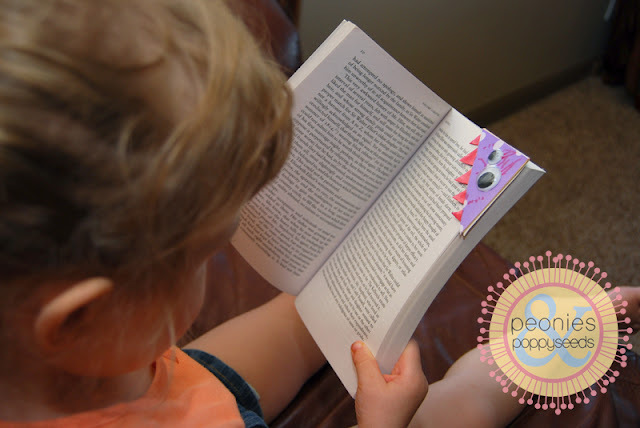 So here's a simple tutorial on how to make monster bookmarks with your kids (or if you want to do it by yourself, that's good too). 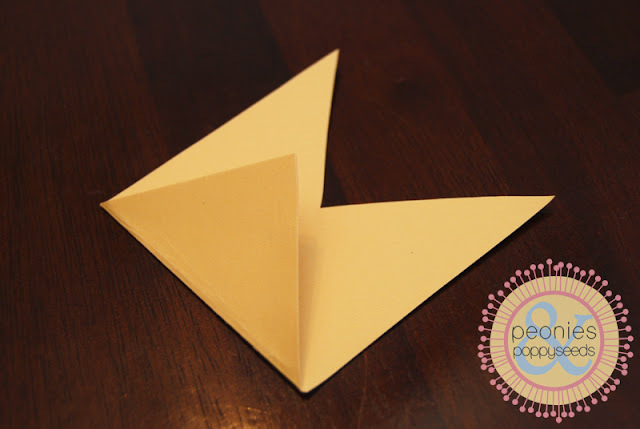 The little flaps fold on top of that, and they overlap. 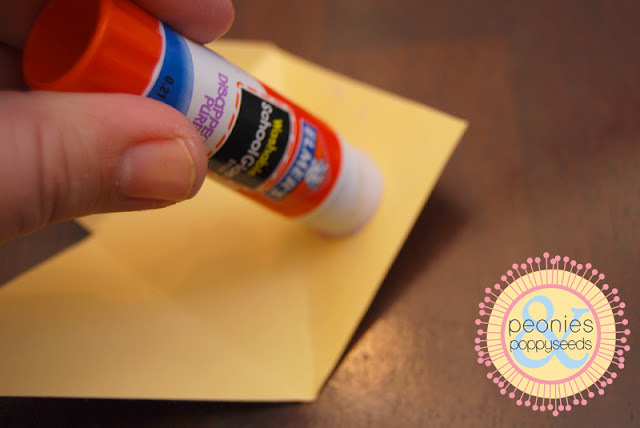 Then you'll want to glue the large flap to the inside and glue the smaller flaps to eachother, but -THIS IS IMPORTANT- don't glue your smaller flaps to your big flap because you want to keep it open inside the monster's "mouth" (otherwise it won't be able to "eat" your pages, it will just be a useless triangle). 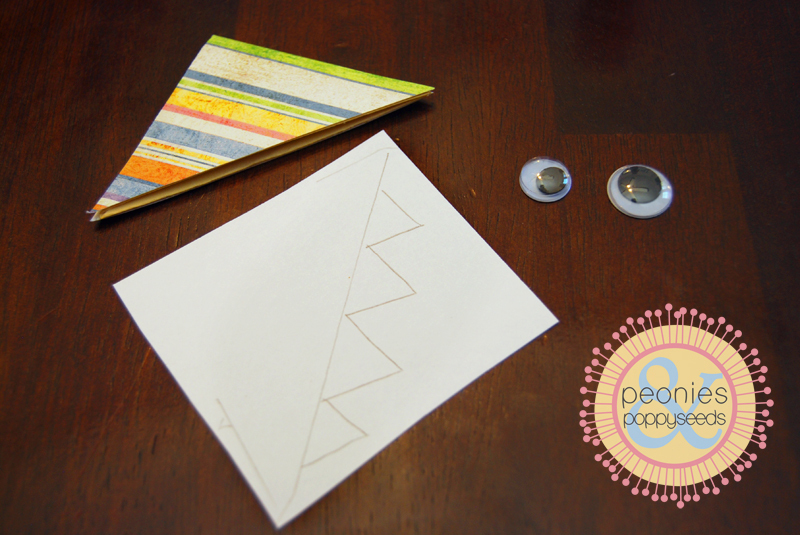 Then trace your triangle onto the backside of a piece of scrapbook paper. Twice. 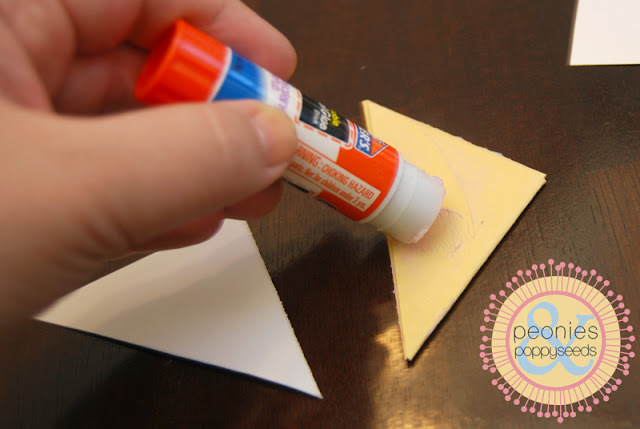 And cut out those triangles. Then glue a triangle to each side of your triangle. This is your monster's "skin". 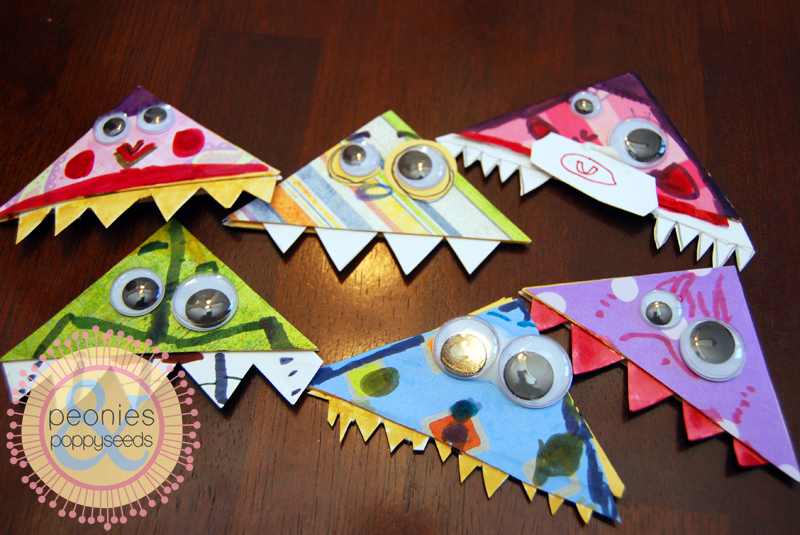 Then, on a white piece of thick paper, trace your triangle again, and then draw some teeth along the edge so that when they're done they'll be sticking out of your monster's mouth. See? 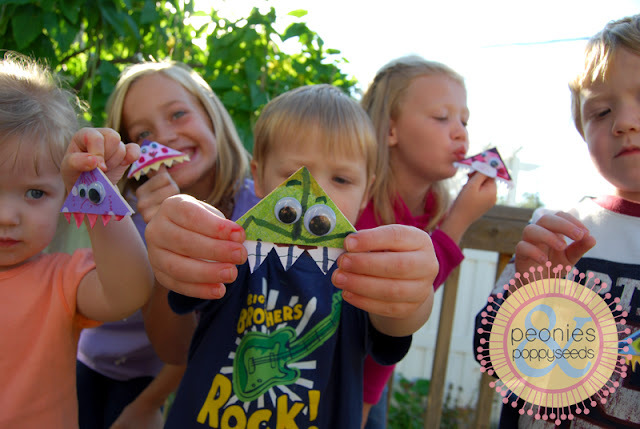 See how I drew my monster teeth? 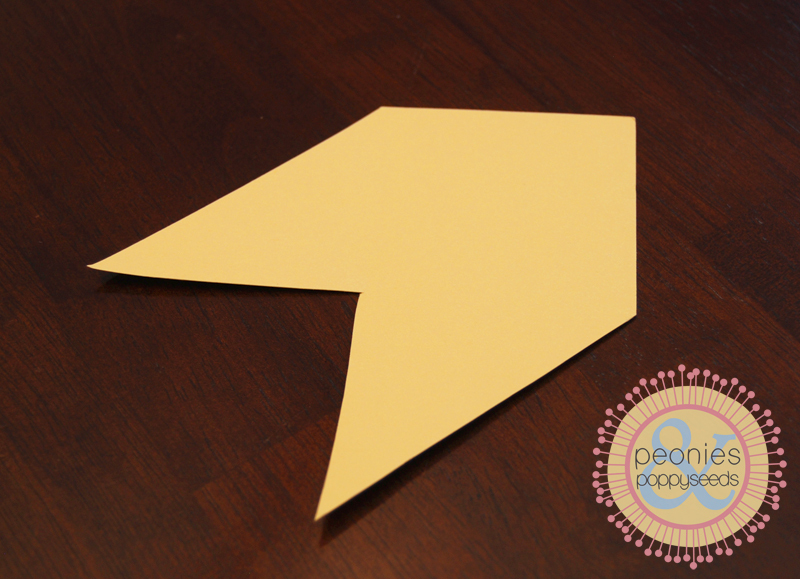 You'll want to cut that so it will fit inside your triangle, so cut a little bit inside the line you traced for your triangle. And also, pick out your google eyes and glue those on too. 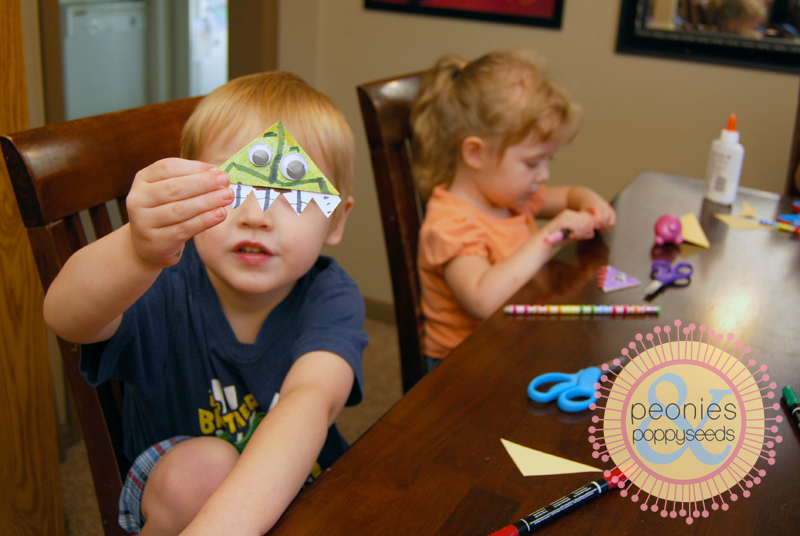 And, if your kids like to color on stuff as much as mine do, let them color their monsters with your good markers. And that's pretty much it. 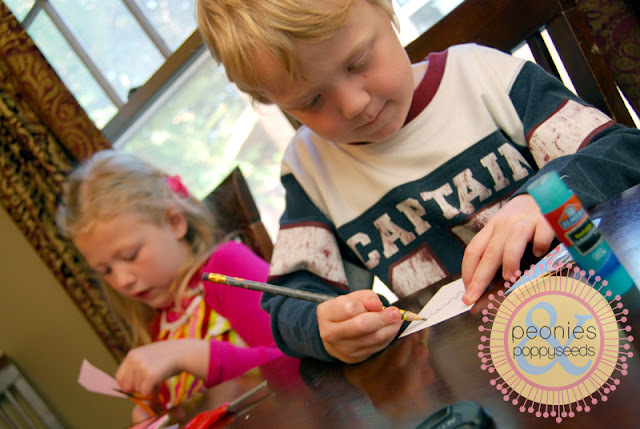 The great part is, your kids can make their monster bookmarks any way they want. 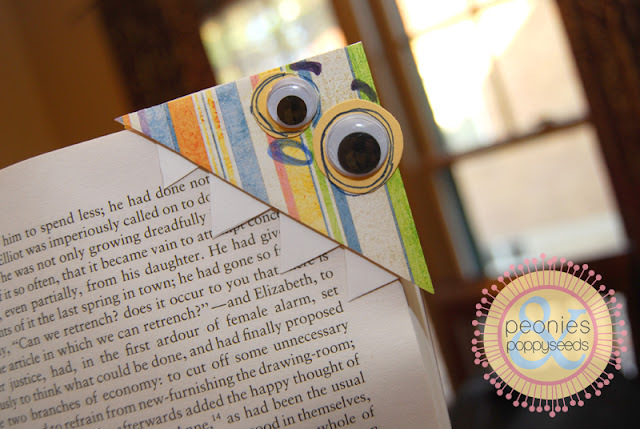 Also they can cut and glue their own pieces, so it's easier for you to make your monster bookmark awesome. And everyone will be really happy to have a monster bookmark, I PROMISE.